Are you ready to hoop your heart out? Meet us at Lake George (Eastman Park) tomorrow, July 9th from 6pm – 8pm for the first Twistin Vixens Hoop Jam of the season! We welcome hula hoopers of all ages and levels. Extra hula hoops will be available for anyone to use or purchase. We hope to see you there! 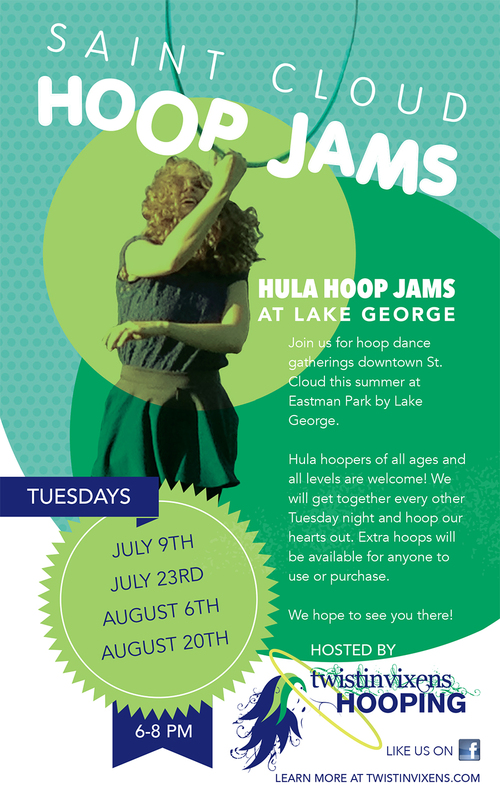 Also, mark your calendars for upcoming hoop jams on the following Tuesdays: July 23rd, August 6th and August 20th.